While tobacco is important, other factors such as smoke from cooking fires, outdoor air pollution and exposures at work are rising causes of chronic lung disease. Lung disease is putting a major strain on patients, families and heath services. 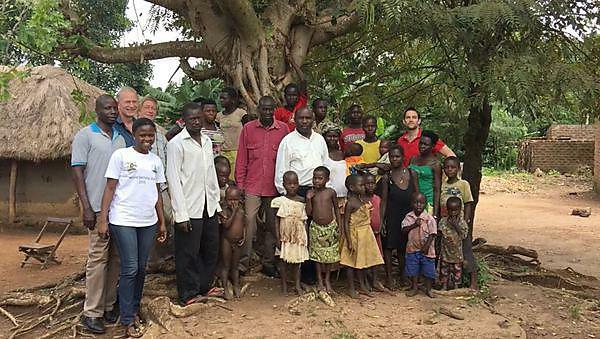 Working with communities in Uganda, Vietnam and Kyrgyzstan, Dr Rupert Jones is running programmes to reduce the exposure to those at risk, and diagnose and treat lung disease. The team is designing and implementing new education and treatment programmes including pulmonary rehabilitation. This programme is highly effective and teaches people, whose lives are blighted by disabling breathlessness, about their disease and the steps they can take to get back work again. In Jinja District of Uganda, we are working with the midwives to develop a ‘train the trainer’ programme to raise awareness of the dangers of cooking smoke for pregnant mothers and small children. Exposure in pregnancy can lead to adverse pregnancy outcomes and early infant death, poor lung growth and adult lung disease. Chronic Obstructive Pulmonary Disease is almost unknown in many parts of the world but the World Health Organisation (WHO) estimates it is now the third leading cause of death worldwide. In a large survey in Masindi District we found 16 per cent of adults over 30 years were affected, especially nonsmoking women.